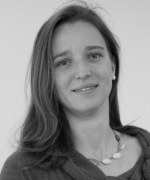 Daniela Weber is a Research Scholar at the International Institute of Applied Systems Analysis (IIASA) and an Assistant Professor at the Vienna University of Economics and Business (WU). Dr. Weber graduated in technical mathematics at the Vienna University of Technology in 2005 and in 2012 she graduated in statistics at the University of Vienna. She completed her PhD at the Vienna University of Economics and Business in 2015 with the dissertation "An International Perspective on Aging and Cognitive Decline". Her research focuses on aging and health, whereas the international perspective is of particular interest to her. Dr. Weber develops new measures of aging and investigates socioeconomic and behavioral determinants of cognitive as well as physical aging.